Perfect for weddings or special occasions, this deep black leather dress belt is the ideal complement to your best suit. The sleek chrome buckle with matching keeper adds that hint of elegance to complete your look. Paired with your oxfords or dress shoes, this Solid Leather belt is guaranteed to enhance any man’s style. 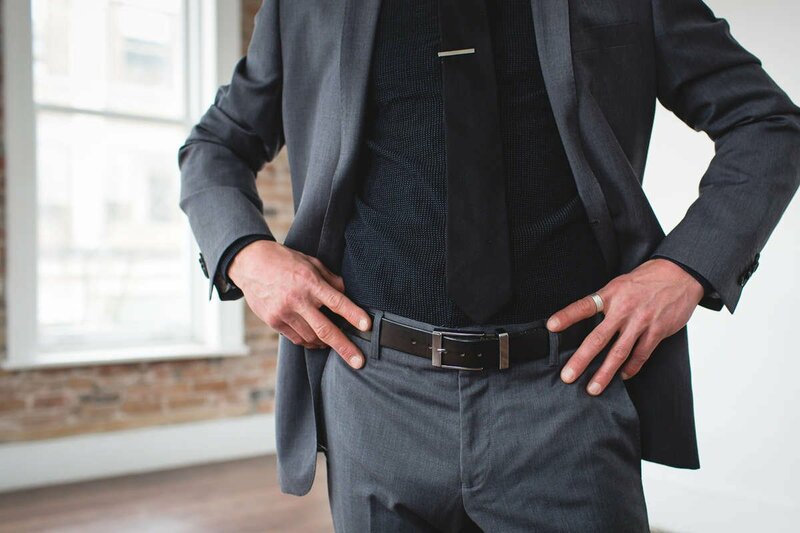 Perfect for weddings or special occasions, this deep black men’s designer leather belt is the ideal complement to your best suit. The sleek chrome buckle with matching keeper adds that hint of elegance to complete your look. Paired with your oxfords or dress shoes, this Solid Leather belt is guaranteed to enhance any man’s style. If you want a proper belt. This is where you get it! Beautiful belt well crafted . I enjoyed watching the stitching taking place on the belt I purchased as a gift. I am confident that this belt will last for a long time to come.